Thanksgiving! It's time for all things delicious. Roasted turkey. Stuffing baked in the bird (don't get me started). Pumpkin pie. But it's also a time to be thankful. To remember our blessings. To be present with the stuffing and people we love. Just saying. Is it just me or do we get side-tracked on the food and forget the thankful part? My early years were focused on making sure my cousins didn't eat all the mashed potatoes and I don't remember being intentional about being thankful for our blessings and our people. We rarely went around the table sharing the things we were thankful for. As an adult, I celebrate Thanksgiving differently now. My family is spread far and wide and have been spending Thanksgiving with friends for years. In my later years, my Thanksgiving experience has become more intentional. While we still enjoy that stuffing (mmm, mmm, mmm), we also pause long enough to reflect on what we're thankful for. So what is the actual purpose of Thanksgiving? Without looking it up, you may be thinking the answer is obvious. To be thankful. To thank God for our blessings. To appreciate our people. All good answers. But the learner in me felt the need to know for sure. The first Thanksgiving was celebrated by the Pilgrims after their first harvest in the New World in October 1621. Seriously, it should have been in November! The feast, which I'm sure included stuffing in the turkey (just saying), lasted three days. It was attended by 90 Native Americans and 53 Pilgrims (according to our friends at Wikipedia) The New England colonists celebrated their Thanksgiving with days of prayer thanking God for blessings. Thanksgiving can be a time to be intentionally thankful. Expressing gratitude is healthy for our soul and studies have shown that those who express gratitude also express more joy. But if you're anything like me, Thanksgiving can be a good reminder that I soon forget with all those twinkling lights of Christmas. 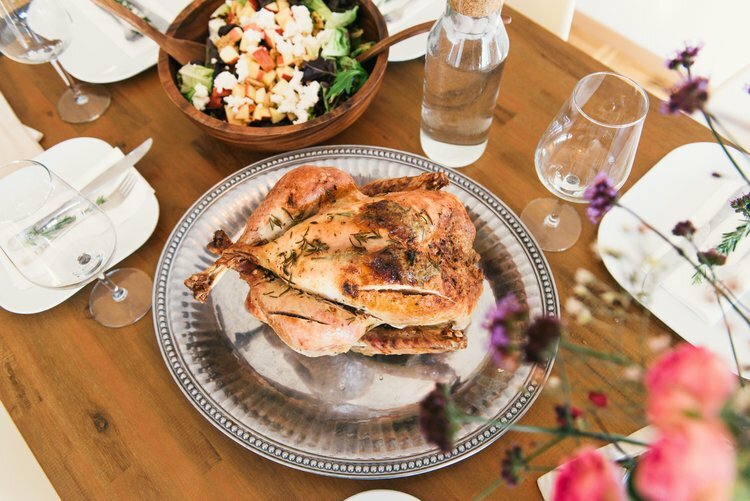 So how can you and I cultivate gratitude at Thanksgiving that lasts all year long? 1. Awareness: In what ways are you expressing gratitude now? As in today. Every good coaching tools starts with an assessment about where you are. So start with today and figure out how thankful you are today. What is going well in the area of gratitude? How are you naturally thankful? 2. Vision: Where do you want to be when it comes to gratitude? Once you've assessed where you are, where would you like to be. Would you like to be more thankful? Will being present help you find more things to be thankful for? Take a few minutes and identify how your life would change if you cultivated gratitude everyday. 3. Obstacles: What gets in the way of your gratitude? 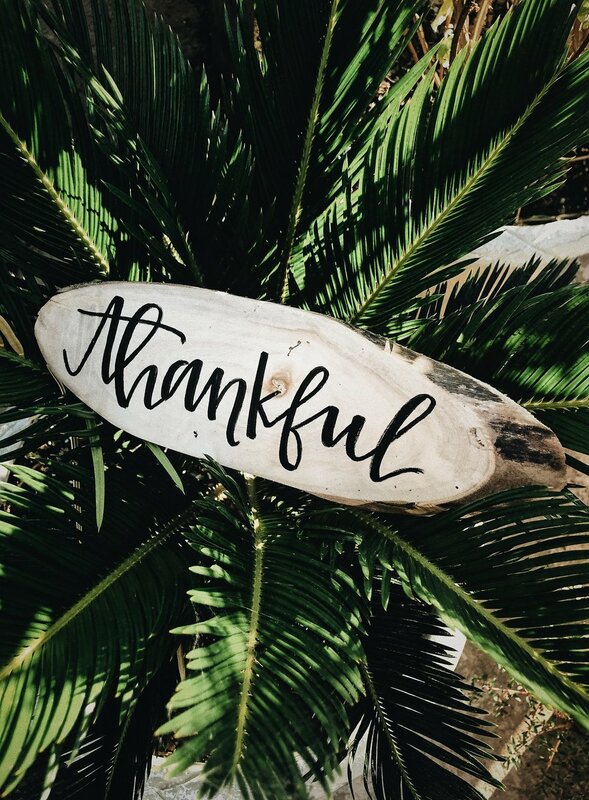 Whether it's a bad day or financial troubles or a challenging relationship, life often gets in our way when it comes to gratitude. Identifying your obstacles is often the first step in creating an action plan. Write down your obstacles and your plan to deal with them. For example, if your obstacle is not remembering, do you need a reminder system like a note on your fridge? Just a thought. 4. Action: What is one baby step you can take today to express your gratitude? Gratitude is meant to be expressed. Maybe it's expressed through writing it down in your journal. Maybe it's expressed by telling your community of the things you are thankful. Whatever way you express it, identify just one baby step you can take today to start expressing your gratitude. As I write this, I must confess. I'm really bad at this. I'm easily distracted. I get going on my day and by the end have forgotten to be thankful and express gratitude. I've failed to notice the blessings that God brings along with those hard things we are walking. And for some us, it's hard to cultivate gratitude when we can't pay our bills, when our relationships are always hard, when we may be grieving someone or even a dream. Sometimes gratitude is a choice we make because we know God is good even when we don't feel like God is good. Wherever you are today, cultivating gratitude is choice to stop where you are and choose to see the good in your life and the good that God brings. It's a choice to choose to enter into a relationship with God - not just for the things He give us but for the way He loves us even when we forget to be grateful. It's a choice to be present and find purpose in the life we're already living. You and I can choose to be intentional with our thoughts and our heart. If you're ready for more powerful questions on how to live a life of purpose and faith, my Wake Up to Amazing 30 day journal has these questions and other exercises to help you cultivate a heart of gratitude this holiday season.